Praxis can be an elusive concept for both preservice and inservice teachers alike. When we ask our preservice teacher candidates about praxis, they often respond to us by saying that it is a series of tests that they need to pass in order to get into our teacher education program, and to obtain state licensure to teach. When we ask our inservice teachers about praxis, many express having learned about abstract theories that are far removed from their teaching practice. However, praxis is much more than simply passing a series of tests and the perception that there is a tension between theory and practice should definitely not be the norm. Praxis is at the very heart of what we do as science educators and should encompass every aspect of our professional practice. As such, we often try to develop and facilitate innovative approaches to bridge the theory-practice gap for both our preservice and inservice science teachers. 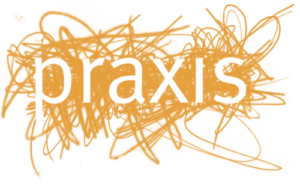 The Merriam-Webster dictionary defines praxis as the practical application of a theory (praxis, n.d.). This notion of praxis and its use in education has been linked and discussed in the writings of Paulo Freire. Freire (1970) defined praxis as “reflection and action directed at the structures to be transformed” (p.36). However, Carr and Kemmis (1986) further described praxis as not simply action based on reflection, but as risky because “it requires that a person make a wise and prudent practical judgment about how to act” (p.190). Quinlan (2012) further viewed praxis as the process of taking action in practice, while acting within a theoretical framework of thought. He explained that theoretical models we learn, and the skills we acquire as educators, are inextricably entwined. As a result, they influence each other, and in effect, become a part of your identity as an educator. Since science education research is constantly changing, practitioners are continuously in need of fresh new perspectives. For this reason, the Innovations journal seeks manuscripts that are based on a firm foundation of scholarly work in science education and provide concrete ideas and strategies that enhance and inform science educators’ practices in their own setting, context and with their unique student population. Such manuscripts can include detailed descriptions of innovative praxis (research into practice) strategies, wherein authors identify a specific body or piece of research and show how they are implementing it into their practice as a science teacher educator. Thus, we encourage science teacher educators, scientists, science coordinators and supervisors, and informal science educators who prepare and provide professional development for teachers of science at all grade levels to share their outstanding innovative praxis ideas and strategies with our international science education community through the Innovations journal. Please be sure to check out our website to learn more about publishing in Innovations in Science Teacher Education by using the following link: https://innovations.theaste.org. Also, please be sure to review the instructions for authors section prior to submitting to ensure that your manuscript adheres to format guidelines and addresses each criterion. We look forward to receiving your manuscripts and want to thank everyone who is, and will be, participating in the submission and review of manuscripts! Carr, W. & Kemmis, S. (1986). Becoming critical. Education, knowledge and action research. Lewes: Falmer Press. Freire, P. (1970) Pedagogy of the Oppressed. London: Penguin Books.